Our deli features a Hot Bar, Salad Bar, Soups, and Grab and Go case with prepared foods, salads, and entrees available by the pound and made from scratch by our deli. At our Hot Meals and Fresh Salad Bar you can enjoy our seasonal prepared food and fresh wholesome salads. Both are made from top quality ingredients and priced by the pound. You can also choose from three soups made in our kitchen with the finest natural and organic ingredients. We offer vegan, vegetarian, and meat options every day. Unless otherwise noted, all the vegetables, grains, oils, pastas, and nuts used in our recipes are Certified Organic. We use no artificial flavors, preservatives, or colors. Every menu features vegetarian or vegan and meat entrees as well as delicious vegetarian or vegan sides. We post an ingredient list for each item. 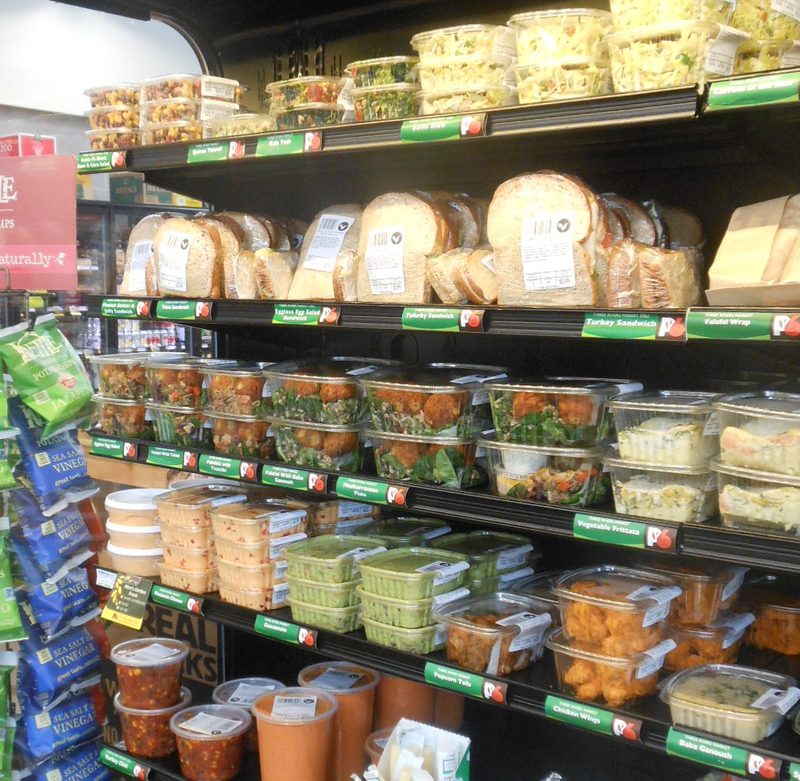 The Deli crew also stocks our Grab & Go case full of healthful, filling, and convenient foods. There you’ll find freshly made sandwiches, cold salads, and spreads like our famed pimento cheese made with Sweetwater Valley cheddar and jack cheeses. The Grab & Go case is also stocked with helpful get-dinner-started items like fresh pizza dough.